The waste paper from take away coffee cups is both very large and largely unnecessary. We’ve found some great alternatives, all available in Australia either online or in your local coffee shop. At home you can reduce the impact from your coffee habit with a number of eco-friendly coffee machine alternatives. A proud Australian innovation KeepCup’s are the defacto standard in reusable take away coffee cups now sold globally. They’re widely available for sale in local coffee shops or you can purchase them direct from the KeepCup online store. Originally a plastic cup they’re now also available in glass. 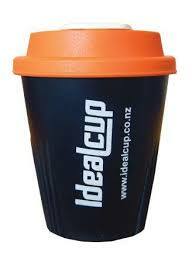 The Ideal Cup is much the same concept as the KeepCup with a different design and made in New Zealand. Another Australian made product the Joco Cup is another glass reusable coffee cup. Cheeki manufacture a whole range of re-usable containers from water bottles to flasks and bags. The Cheeki cup is a double walled insulated stainless steel reusable coffee cup.